Local gallery artrepublic is hosting a live raffle in aid of Middle Street School. The top prize is a limited edition box set of prints by artist Sir Peter Blake worth £1250. The live draw will take place at a family-friendly event at the gallery from 4-6pm on Thursday 28 September. The artist behind The Beatles Sgt. Pepper’s Lonely Hearts Club Band album cover, Sir Peter Blake visited Middle Street School in 2014. He’s chosen to support the school by donating the box set to help raise much-needed funds. 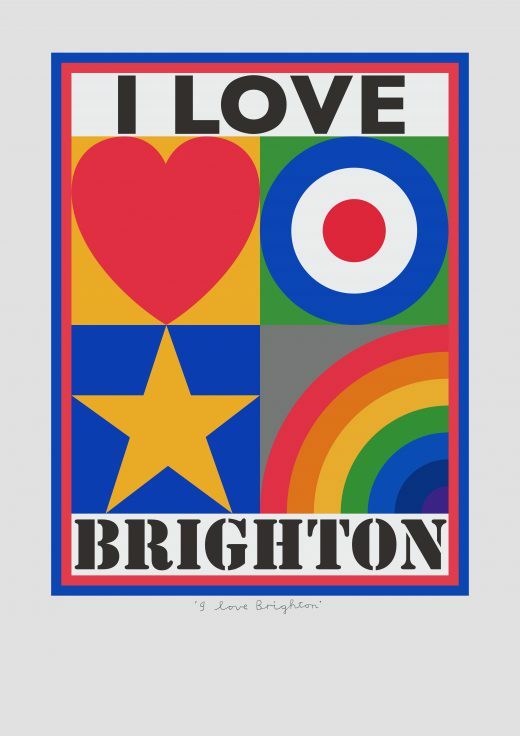 Containing five Brighton-inspired prints, the box set is one of a limited edition of 60. As well as the sought-after Peter Blake prints, a number of runners up prizes have been donated by local businesses. artrepublic will also be donating 20 per cent of all sales made on the day to the cause. The money raised from the raffle will support Middle Street School’s arts budget which has been significantly reduced as a result of financial pressures on the school overall. Children are welcome to attend the raffle draw event at artrepublic gallery. There will be a colouring station set up, where children are invited to colour in outlines of the Brighton-inspired Peter Blake prints included within the box set. Raffle tickets are available from the artrepublic gallery on Bond Street in Brighton for £5 each, or £20 for five. Tickets can be purchased up until 5pm on Thursday 28th September. The draw will begin at 5.15pm at the gallery on Bond Street.